English football goes the old school this weekend as FA Cup takes center stage with Premier League going on mini hold. With only QPR vs Spurs in action the entire attention is on the remaining 8 teams to battle in the Quarter Finals for a chance to play the Semi Finals at Wembley. There are 4 intriguing fixtures to look forward to and I look ahead to each one of those and predicting the winners from the Quarter Final clashes. Without any doubt this is the best tie of the round with two teams having rich history in the FA Cup will make this tie a must watch one. FA Cup remains the only realistic chance for both the teams to win a trophy this season makes it a must-win match for both the teams. Manchester United have not hit the heights they were expected to under Van Gaal but credit to United for getting the results despite playing poorly. Arsenal on the other hand have been playing free flowing football but without any significant success. Knock out round’s matches are often decided on terms mental strength than the actual form. Arsenal have a barren run at Old Trafford. Gunners have failed to win at United’s home ground in their last 10 attempts. Taking the home factor in consideration and United’s ability to win game despite playing poorly I see Manchester United winning the match 2-1 and continue the horrible run for Arsenal Wenger and his side at Old Trafford. Perhaps the least fancied tie of the round sees the heroes of this season’s FA Cup in action. Bradford will play the Quarter Finals after beating the Premier League sides Sunderland and more shockingly Chelsea. Bradford not only defeated Chelsea but scored 4 against them which is an unheard thing for a Nose Mourinho’s side. Such a victory truly deserves a spot in the Quarterfinal and that’s why I am backing to go on and seal their fate by playing at Wembley in the Semi Finals of this season’s Semi-Final. Reading have an impressive route to the last 8 as well but with all due respect everyone loves an underdog succeeding at a grand stage and I am no different. Brendan Rodgers has made Liverpool the best team best in English football at the moment. The Anfield club are winning matches without any fuss and are playing beautiful football as well. Front three of Coutinho, Sterling and Sturridge is enough to send the shivers to most of the team’s defences and Blackburn will be praying for an off day for all three of them. With no more Europa League distraction, Liverpool have their sights set on FA Cup glory and a top 4 finish. Liverpool have an inform team with players playing at best of their abilities. Thus I see Liverpool winning it easily by a 2 or 3 goal margin. Gary Bowler would hope that his side do not come against a rampaging Liverpool side who turn this occasion very sour for the Blackburn’s team. This will be the story of two new men at the helm. Tony Pulis took the charge of West Brom about 1 month back while Tim Sherwood is only 2 weeks old in his job at Aston Villa. Before Sherwood, Villa were not able to even buy a goal but since Sherwood in charge Villa have managed to score and win 1 league game. Tony Pulis however has continued in building his reputation as one of the best managers in the game. West Brom look a completely different side with Pulis in charge. West Brom are winning home or away, Berahino is scoring for fun and defence looks more solid than ever. 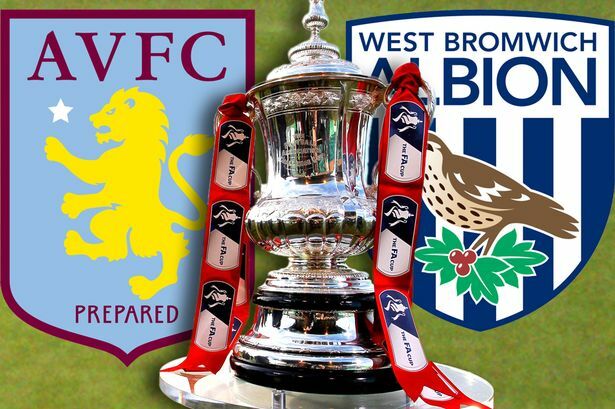 Everything is in West Brom’s favour as Pulis has revitalised West Brom’s play and a semi-final berth beckons for the baggies. I expect Tony Pulis to lead his side to a deserved Semi-Final spot. Tim Sherwood would ask for a strong performance from his strikers.